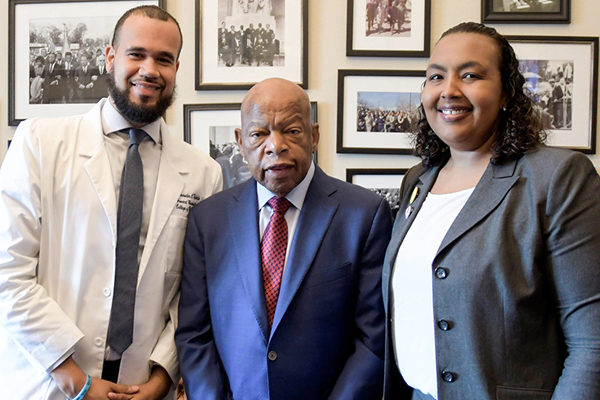 CPAT Members with Rep. John Lewis in June 2018. 2018 CPAT Symposium attendees had more than 100 meetings with congressional offices. The NCCS Cancer Policy & Advocacy Team (CPAT) is a unique opportunity for survivors and caregivers to develop advocacy skills, meet with policy makers, and learn about pressing policy issues that affect cancer care. With this knowledge, they are ready to engage as advocates in public policy around the needs of cancer survivors. With your help, we can provide our advocates with the tools and resources to promote quality cancer care nationwide. Use the form below to make a gift to the NCCS Advocate Scholarship Fund.